Blue Dot Collective is a group of six composers who focus on writing adventurous new music for wind band. The collective consists of David Biedenbender, Viet Cuong, Jennifer Jolley, Benjamin Taylor, Jess Turner, and Roger Zare. Even with a variety of influences and stylistic approaches, the collective members share the common goal to uplift and inspire performers and audiences alike with fresh, exciting music. We are very happy to announce that Jennifer Jolley will be joining the Blue Dot Collective beginning in December 2018! 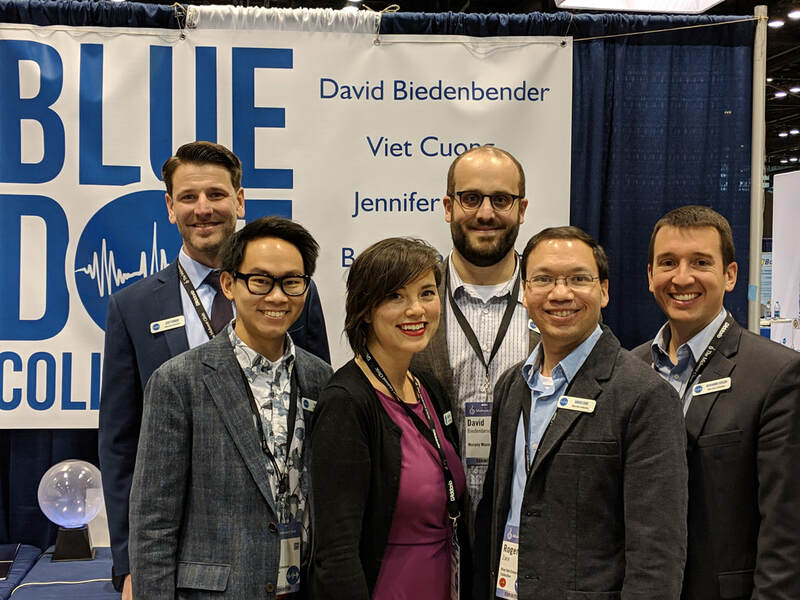 Come say hi to Jennifer and the rest of the collective at Booth #1032 at the 2018 Midwest Band and Orchestra Clinic, and check the updated schedule to see our many performances and clinics throughout the conference.